"If they refuse to let Biafra go…… In no distant future, you will see the pictures of starving children, but this time around, it will no longer be that of the innocent Biafran kids, but those of the children of the Mohammedian Emirates of the North"...Culled from Radio Biafra Broadcast of 2014 hosted by Nnamdi Kanu. When the above statement was made during one of the Radio Biafra broadcasts hosted by the director of Radio Biafra/TV and leader of the Indigenous People of Biafra, Mazi Nnamdi Kanu, it seemed like a fairy tale, an impossible statement that will never happen in this lifetime (at least not in the next half century). Little did we know that the leader of the indigenous People of Biafra was being prophetic with his statement/words. In barely 2 years, the statement of the servant of ChukwuOkikeAbiama is happening right before our own eyes. Just last week, the print, electronic and social media were agog with the pictures of starving children from the various Internally Displaced Persons (IDP) camps in Borno and Adamawa states. The pictures confirm that Internally Displaced Persons have been languishing from hunger and dying in droves while the Nigerian government headed by the heartless, bloodthirsty and hawkish one called the African Hitler Muhammdu Buhari (AHMB) made the world believe all along that the IDPs were being adequately taken good care of. Of course, that was what the government made the to people believe until recently when the world discovered the truth. For a government that only recently through the Borno state governor, Kashim shettima told the world in a keynote address he presented at the first dialogue on Rebuilding Peace in Borno State organized by AOB Global, a humanitarian advocacy group, that Internally Displaced Persons consume whopping 1,800 Bags of 50kg of Rice daily courtesy of the government, it was unbelievable that such calamity could be taking place under the watchful eyes of the AHMB’s government. It will equally Interest you to note that the government had through the deputy governor of Borno state not long ago told the world that the government was spending N600m monthly to provide food for the IDPs in just 20 out of the state’s 27 local government areas. The truism of the statement of Nnamdi Kanu came to a "prophetic quip" when disturbing reports emerged out of the IDP camps of people especially children dying of malnutrition. One of such report had it that, at least, 30 children were dying from the phenomenon almost daily while there were about 1,233 graves of citizens who died of acute malnutrition out of which 480 were children discovered by Doctors without Border. How the government of the AHMB which incidentally is illegally detaining the IPOB leader decided to make his statement so prophetic in barely just 2 years is what most event followers can’t even fathom. READ TOO: IPOB CLEAN SLATE: NIGERIA DSS - THE BARBARIANS OF THE 21st CENTURY. For a government that have vowed that she will never allow the restoration of the sovereign state of Biafra which Nnamdi Kanu have prophesied as the "last miracle’’ of the restoration train to be consciously or unconsciously making the statements of Nnamdi Kanu a "prophetic reality’’ in just about 14 months of its regime shows that the government will by its actions or inactions in no distant future bring the restoration of Biafra to fruition. 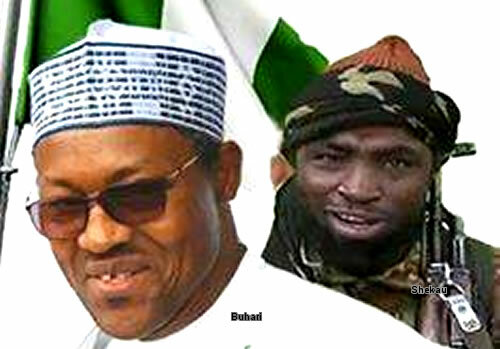 Yousuf and Buhari, who is a better terrorist? (1) Why would people who survived the onslaught of the dreaded Boko Haram sect for years showing resilience while in captivity be left to die under AHMB after regaining freedom? (2) Why would those who were forced to live in Sambisa force for years die in a government established and administered camps within few months? (3) Why would children live under the Boko Haram leader, Abubabakar Shekau but die under AHMB? (4) Is it not obvious that Shekau was more humane in handling and treating the captives than the heartless African Hitler? 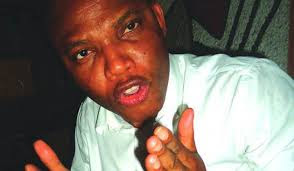 From the above, it is obvious that ChukwuOkikeAbiama is slowly and gradually hinting the Nigerian government headed by AHMB that no matter how impossible it may seem, the statements of Nnamdi Kanu are "prophetic utterances" that will definitely come to pass one after the other and finally be crowned with his "prophetic last miracle" – The restoration of the sovereign state of Biafra soon.